Rae Paris began writing The Forgetting Tree: A Rememory in 2010, while traveling the United States, visiting sites of racial trauma, horror, and defiance. The desire to do this work came from being a child of parents born and raised in New Orleans during segregation, who ultimately left for California in the late 1950s. After the death of her father in 2011, the fiction Paris had been writing gave way to poetry and short prose, which were heavily influenced by the questions she'd long been considering about narrative, power, memory, and freedom. The need to write this story became even more personal and pressing. While Paris sometimes uses the genre of "memoir" or "hybrid memoir" when referring to her work, in this case the term "rememory," born from Toni Morrison's Beloved, feels most accurate. Paris is driven by the familial and historical spaces and by what happens when we remember seemingly disparate images and moments. The book's three sections are motivated by the ongoing movement for black lives-with the headings "Bones," "Bodies," and "Souls." Paris's writing is raw and unapologetic as it delves into a history shaped by stories of terror and resistance. The collection is not fully prose or poetry, but more of an extended funeral program or a prayer for those who have passed through us. 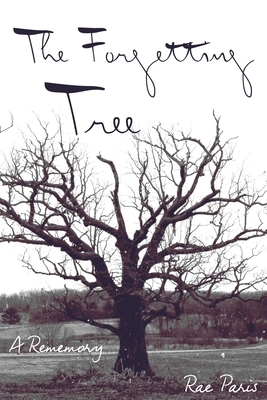 A perfect blending of prose, poetry, and images, The Forgetting Tree is a unique and thought-provoking collection that argues for a deeper understanding of past and present so that we might imagine a more hopeful, sustainable, and loving future. Rae Paris is from Carson, California. Her work has been supported by a NEA Literature Fellowship, the Helene Wurlitzer Foundation, Hedgebrook, Hambidge Center, Atlantic Center for the Arts, and VONA. She is Assistant Professor of Creative Writing at the University of Washington.